Celebrating the best companies to work for, the AJC’s 2018 Top Workplaces honored Dorsey Alston Realtors — twice! 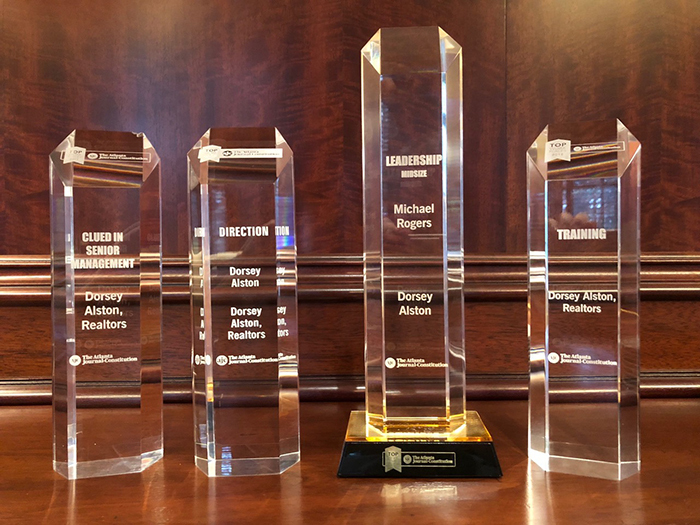 Not only did the newspaper name the oldest and largest independent real estate company in Atlanta a Top Workplace, it also gave Dorsey Alston the top award for employee training. This marks the fourth year in a row the company founded in 1947 by Roy Dorsey and Robert Alston has been recognized by the premier newspaper in the South. 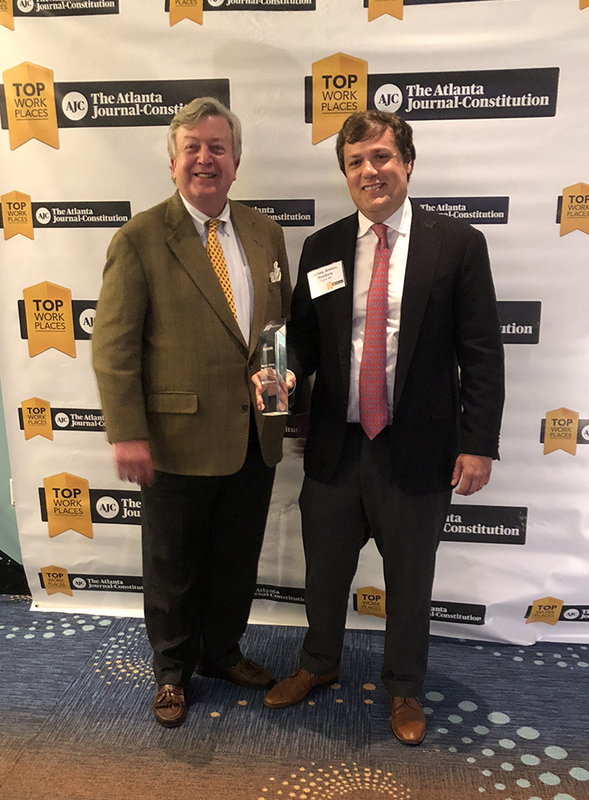 Senior Vice President and Managing Broker Rip Sartain and Vice President and Relocation Director Patrick Wood were on hand at the Georgia Aquarium last week to accept the award on behalf of the 252 employees. Weekly Sales Meetings: Current issues are discussed and expert speakers are given the opportunity to talk about the market, strategies and marketing. Weekly Education Programs: Including three-hour continuing education programs or current area/market presentations with economists, housing experts, or relevant civic and business leaders. The bottomline, according to Sartain and Wood, is they are always there for Dorsey Alston agents. The successful - and now award-winning - training program is proof of that. And training is just one of several things Dorsey Alston does differently when it comes to their agents and employees. CEO Michael Roger’s door is always open; agents are welcome to participate in the company health care system and there is a collaborative culture, which isn’t always the case in the ultra-competitive world of residential real estate. Agents are constantly at one of the two offices — in Buckhead across from the Atlanta History Center on West Paces Ferry Road and East Cobb on Johnson Ferry Road in Marietta — and often work with one another on pricing, marketing and sharing market data and leads. The company also places an emphasis on supporting the causes close to its agents. Last year alone, Dorsey Alston sponsored or participated in more than 60 charitable events on behalf of its Realtors. “Being a great workplace is a two-sided effort. The agents at Dorsey Alston deserve equal if not greater admiration and acknowledgment for making our company a winner,” said Rogers.